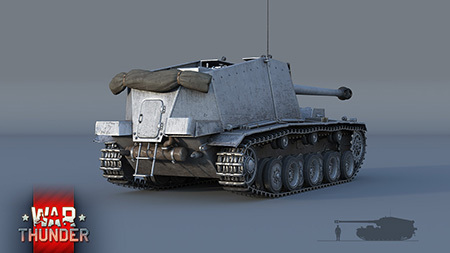 Work on the Sturer Emil began in as early as 1939, when the German army had need of an effective weapon against the reinforced Maginot Line. But by 1942, the situation had changed fundamentally: France had already fallen, and Germany was waging an entirely different war against the USSR. At the start of the Great Patriotic War, when the Germans first clashed with the newest Soviet KV and T-34 tanks, the question of creating an effective weapon against them became critical: no German tank cannon at that time could effectively penetrate their armour. Only high-calibre anti-aircraft weapons showed good efficiency in penetrating Soviet heavy armour, such as the 12.8 cm FlaK 40. A self-propelled gun based on the experimental VK3001(H) tank and armed with a 128 mm anti-aircraft cannon adapted for SPG usage had every chance to be the silver bullet against Soviet tanks that the Germans needed. For that reason, the Sturer Emil, once an assault tank, was reclassified as an anti-tank SPG. As expected, the weapon installed on the SPG demonstrated incredible efficacy against thick armour in tests. However, the ‘Stubborn Emil’ never reached mass production: the Germans bet on the Tiger tank instead (also armed with an adapted anti-aircraft cannon, but this time with a calibre of 88 mm). This meant that the two already built Sturer Emil SPGs that were sent to the front in 1942 were the first and last of their kind. The role of the new SPG in tank and mixed battles in War Thunder isn’t hard to imagine: they’re intended to support attacking allied forces from a safe distance. The ‘Stubborn Emil’ lacks heavy armour, and its driving performance leaves something to be desired. On the other hand, its 128 mm cannon has no equal in battle against any opponent. 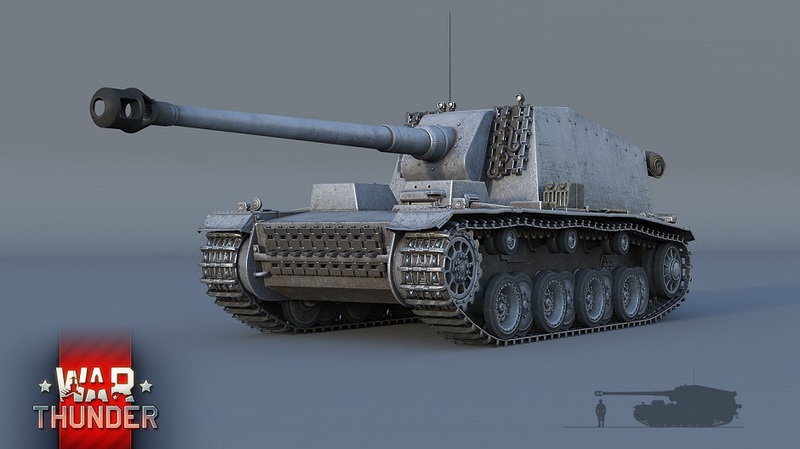 The PzGr shells for the 12.8 cm K.40 L/61 are similar to those used on the Jagdtiger, and incidentally, they are some of the most powerful shells in the game for post-penetration effect due to the huge amount of explosives inside them. Finally, the weapon has excellent elevation angles: the SPG can fire its deadly 128 mm shells at a -15° angle, and is every bit the equal to its counterpart, the Dicker Max, in this respect. That said, be careful not to waste your small ammunition complement of just 15 shells – returning to base or moving to a point to reload on this vehicle is a long and potentially dangerous process. 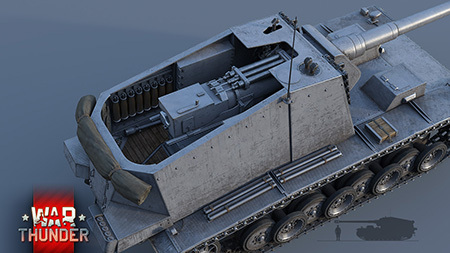 Take a look at the German open-topped SPG tech branch and train yourself to conquer in these very special vehicles while you wait for the Sturer Emil in the upcoming Update 1.59 “Flaming Arrows”! I vote for some classical music next devblog please and thank you. Also that GUN!!!!!! IT HAS TH POWER!!!!!!!!!!!!!!! omg classical would be amazing! I preferred the videos without music. I want to hear the sound of the tank, and more importantly the sound of its cannon. Don't come out in front of it then....That said 15 shots mean you will have a very cautious and patient hunter in whomever take time to learn this beast. Vakr, The funny thing is, in most us tanks I don't bring more than 15 rounds already... because I kinda don't like exploding. :D Looking good.... Soo, 1.59 on Thursday? *Super_Villain958, There in fact is a new model of the Salamander planned, the He 162 A-1. As well as an update to the existing A-2 Salamander's model, that is. just to be pedantic the he162 was never called the salamander, that was the codename of its construction program. The official name of the he162 was Volksjager (peoples fighter) and heinkel called it the spatz (Sparrow). 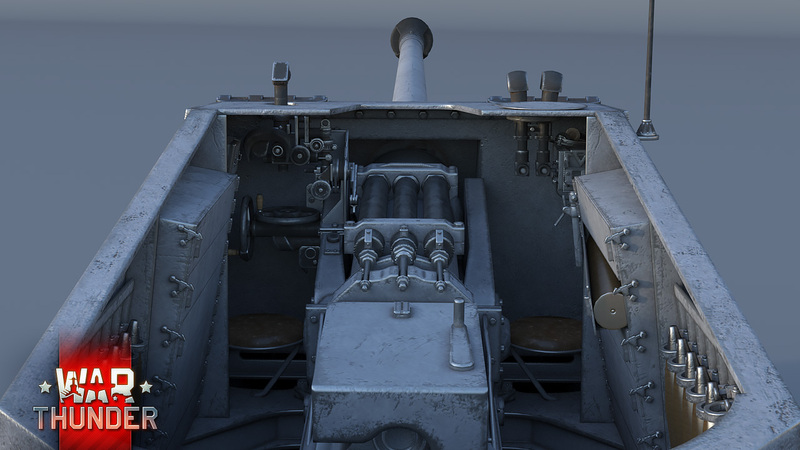 in future updates put the game howitzer 203mm M1931 pls! Na, S-51 203mm KV-1 Casemate. How many Open-Cabin TD's did the Germans have? Either way, this thing just looks like a beefed up Dicker Max. Hell, the whole line after the Dicker Max is just a beefed up Dicker Max. Still, this should be fun to drive. A lot of them. Open top, Grille, Wasp, Hornet, Cricket, Marders 1,2,3,3M, PanzerJeagers, Tons of French tanks rearmed with heavy guns, , Dicker Max, Emil, Hetzer/150mm, Panzer 4 Flak 88, Brummbar, Surms(if you would like to include it,) Closed cabins, Jagpanther, Jagtiger, Jagtiger 88, Stug 3 line, Stug 4, Panzer 4/70 A and V, and a third one, Hetzer, Surms(if you would like to include it,), Stug 88, Stug/Panther 75, There's probably lots more then this too. Vrox11Z, Don't mess up SPGs with Tank Destroyers. Brummbär was not a TD as its main purpose was the destruction of fortifications and the HL shells were only used for defense if necessary. Also the P IV Flak88 was a weapon carrier to create a mobile version instead of an immobile weapon. Grille (the english word is cricket), Wespe and Hummel were also SPGs. There was never a StuG 88. 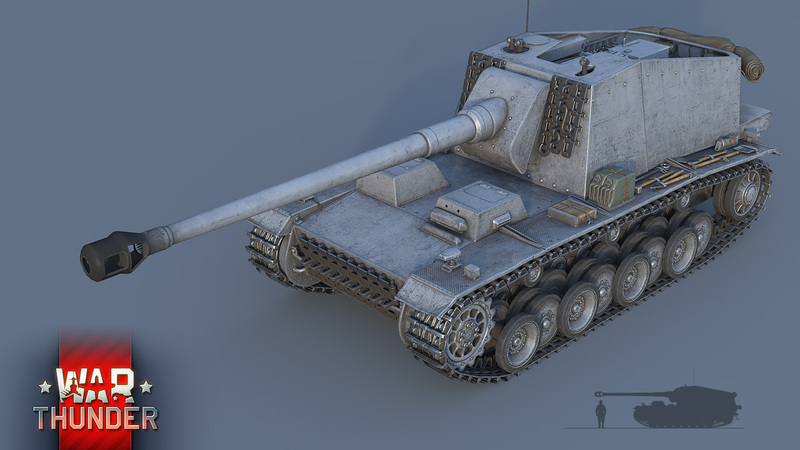 What did you mean with Hetzer/150, Surms and StuG/Panther 75? The E Series? If yes, the number is wrong (E25 and E50). Stug did have prototypes using an 88 and the 75 from the Panther, and the 150mm on the Hetzer was a scout tank based on the 38T with the hull for the Hetzer/Jagpaner 38 upgunned from an MG to a 150mm howitzer or gun, and the Grille, Wespe, and Hummel, were open top. Also I did have the Closed top TDs(Stugs etc)/Casemate SPGs(Sturms etc) separated from the Open top TDs(Hummel etc)/ Open top SPG(Panzer 4 88 etc).